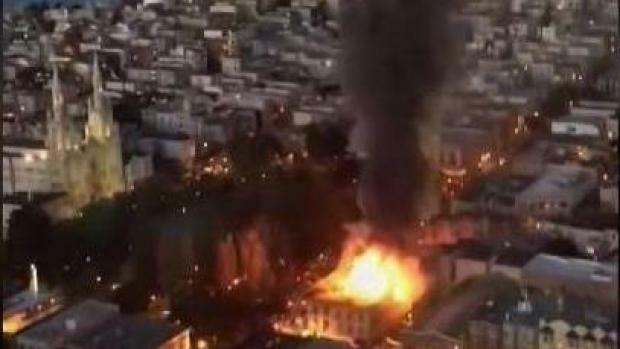 The four-alarm fire that destroyed a building in the city's North Beach neighborhood over the weekend rekindled a city supervisor's criticism of the fire chief. Supervisor Aaron Peskin, who was at the scene when the blaze ignited Saturday, says crews were slow to get water on the fire. 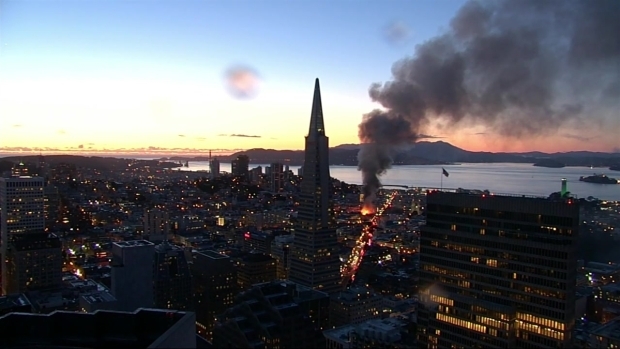 On Sunday, as the flames continued to burn, Peskin called for fire Chief Joanne Hayes White to resign. "Even her high-ranking staff that got here realized they were not on the job," Peskin said. "There was no excuse for it whatsoever. This has nothing to do with politics; this has to do with abject failure by the fire department." On Monday, Hayes White declined a request to comment. But Interim Mayor Mark Farrell repeated his support of the chief. "I think it’s wholly irresponsible for an elected official to try to, A, tell them how to do their job and, B, call for the resignation of the fire chief," Farrell said. Board of Supervisors President London Breed agreed. "As a former fire commissioner, I think they did a hell of a job, and I’m really proud of how they handled things with that fire," Breed said. "So, the worst thing you can do is be critical." 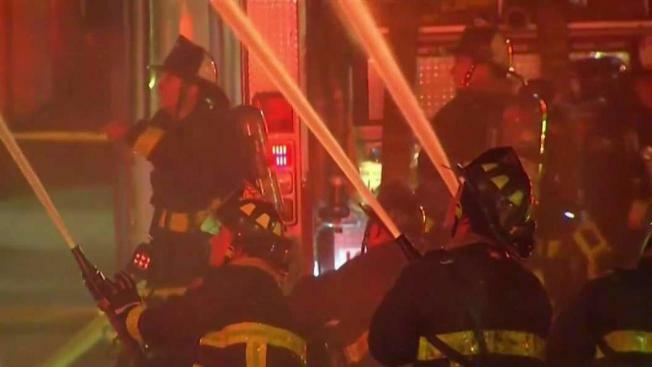 Despite the chaotic scene on the night of St. Patrick's Day festivities, no civilians were hurt after the four-alarm blaze erupted at 659 Union St., fire officials said. One firefighter still on the scene Sunday morning was injured after falling off a fire truck, but he is expected to recover. "It starts at the top," Peskin said. "I called her during this event repeatedly. Her voicemail is full." The cause and origin of the North Beach blaze is still under investigation. NBC Bay Area's Mark Matthews and Christie Smith contributed to this report.